Laboratories require to be more flexible than ever due to the kind of work proceedings they deal with and in order to support that ability, every laboratory requires a Laboratory Information Management Software that can meet it needs today and tomorrow. The software needs to be a kind that allows you to easily manage your lab data, resources & workflows and drive automation by connecting your instrumentation & systems through open standards. What is Laboratory Information Management System? Well, LIMS is a software system that is developed to support the laboratory operations. It is able to record, manage and store data for clinical laboratories and traditionally it is adept to send the lab test orders directly to lab instruments, track those orders and then record the results, usually to a searchable database. This software system is able to track specimens and workflows, cumulative data for research/business intelligence purposes, & ensure lab operations that the laboratory operations are in compliance with various standards and regulations. 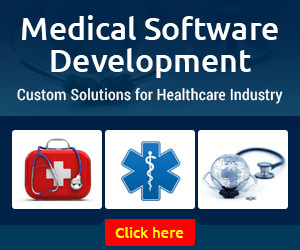 With LIMS extensive usage in medical & pharmaceuticals industry, it is also known to be a type of medical lab software. As per Gartner’s 2016 Life Sciences Hype Cycle, nearly every firm is using a LIMS and they are greatly useful for biobanks & genomics testing institutions as well as labs researching drugs and developing formulations. What is the purpose of a LIMS? Well, the LIMS is primarily responsible to enhance the efficiency in laboratory functioning and efficiency by cutting down the manual tasks. Like, a LIMS system will automatically record information which otherwise need to be typed in or written down, thus it saves a lot of time and reduces errors. Out there, you will find a number of LIMS Development companies and you have to pick one that meets your requirements well. Like, some are going to be better to help certain kinds of labs function a lot more efficiently, but might not be that suitable for other labs. Manages Patients: includes date of admission, ordering department, specimen types & admitting physician, etc. What are the common functionalities of Laboratory Information Management System? An LIMS is pretty time-saving and it can be used to automate workflows and for this reason the system should be used to automate records keeping. When existing procedures and methods in LIMS are codified, it delegates decision making to this software. Like, it will be able to automatically allot work to the scientists as well as suggest instruments on the basis of pre-set rules. This way, the system won’t look up for what you require to do with samples and where will it need to next go, as a good LMS automatically provides this info. With samples moving from person-to-person and place-to-place, there are chances of it getting lost and mixed-up easily. Thus, with detailed and accurate records, you can make sure that you do everything just right. For instance, a good record will be able to tell you if a sample meet project criteria, however it is a tiresome job to create and maintain them. Ideally, the LIMS will automate as much of this as possible. Some use RFID to create and update audit logs and chain of custody to automatically track where the sample is in every stage of the process. Barcodes also work for this purpose. Through reporting you can easily and quickly find answers to which instruments get used the most, how long is your sample backlog, and on an average, how long will it take the lab to process a sample. This data comes greatly helpful in data-analysis auditing & audit trail. However, even though a LIMS is able to run reports, it is not easy as some report need custom coding in order to set up and run, whereas other systems may be able to export to Microsoft PDF and Adobe PDF, but not Google Drive. ERP software is highly efficient in managing inventory and it can be greatly helpful to have an LMS that is able to perform this functionality. In a clinical lab, it can be highly useful to be able to view what you are having on hand at a single glance, get alerts as supplies run low, auto-calculate storage & freezer capacity, as well as location management. As per Gartner’s Hype Cycle, mobile offerings in concern of LIMS are limited at the moment. However, with smartphones becoming more acceptable in the lab, it seems it will be useful to have a mobile-friendly LIMS in the future. Now Electronic Health Record is its own kind of software, but some of the LIMSs have this HER functionality built-in, with them including patient check-in & billing. If your software doesn’t offer these feature, then having a LIMS with this functionality can be highly beneficial as it comes to managing your clinical lab. What are the important features of a LIMS? Lab Project Management:It creates and manages lab project workflows of samples via assays and standardized procedures and methods. Lab Inventory & Storage Management:With sample and container tracking, location audit logs, etc. you can easily know where everything has been and for how long. Manage stock supply & reagents; assign re-order alerts. Electronic Document Management:Using links, any electronic file can be associated to any object within the LIMS. The system is a unified repository for all the document needed to support a lab’s research, ranging from raw data to final study reports. Workflow Management:Project decision criteria is implemented to ensure that samples of interest are queued automatically for screening. At the same time, it allow you to capture data for audits & compliance with regulatory standards. Automated Data Capture & Reduction:Directly integrated with data-generating instruments, custom file-parsers and data-loaders, as well as automatic data reduction. Study Management:Custom & reusable study designs are created as well as it can report data by study, result validation & management. Data Analysis:Graphing, NCA, QA/QC, calculations, curve-fitting, etc. Specifications Management:Customer specifications & custom recipes management. Regulatory compliance. Lot, Batch, & Case Management:As needed, lots, batches and cases can be managed. Efficiency is increased with grouped sample login, etc. Environmental Monitoring:In labs and storage spaces, conditions can be monitored. Control waste generation & disposal. Security:Control data access, easily track changes made in the data, documents or the system, etc. Prioritization Queues & Worklist Management:Current workload is assesses and priorities are re-assigned for each assay. Bottlenecks in project lifecycles are easily identified. Laboratory SOP Enforcement:Business rules can be directly enforced within the system prior to a sample is registered, screened or queued. Customized Reporting:Custom report formats are defined for any data. Run reports and export results automatically to Excel, Word, Adobe PDF & PowerPoint. Animal Facility Management:Cage card printing, comprehensive record tracking, animal location management & history, and IACUC protocol management & enforcement. Animal Study Management:Track Animal study design & manage workflows for efficacy, PK, toxicological and behavioural studies. High Throughput Screening (HTS):Useful for automation collection & validation data & generation of automatic alerts. It allows for in-vitro data management. Molecular Biology, Cell Culture & Bioinformatics:State-of-the-art bioinformatics platform offers wide0ranging functionality, comprising of intrgration with instrumentation. Chemistry & Cheminformatics:State-of-the-art cheminformatics platform comprises of: structure visualization, compound registration, calculated properties, drawing & searching, etc. What are the benefits of a Robust LIMS Software? This single platform can efficiently manage all lab activities and functioning via suite of integrated modules. Advanced usability, owing to an intuitive graphical interface. Real-time availability of analytical data even from various locations (multi-site) with publication on web & results via e-mail sending. Huge reduction in results input time & operator errors, via LIMS integration with laboratory instruments. Short system start-up time via provision of pre-loaded data & imported data. Maintenance of configurations & customized upgradations and future versions of the system. Highly-configurable LIMS and is adaptable to both small and large laboratories being able to customize workflow processes & events, draw the GUI & definition of rules status & configuration of the calculations. Role-based access & local user (multi-language & multi-localization) for better use. Decision-support through advance searches, statistics, and data transfer systems IMS (Information Management System) & Business Intelligence. Protocol Management of quality assurance on analytical data (QA/QC), compliant with standard US-EPA (Environmental Protection Agency). Offers better control of business proceedings via LIMS integration with third-party software (MES, ERP & Accounting systems). Data Auditing and logging of all transactions, thus ensuring complete traceability of information. Guarantees regulatory compliance comprises of UNI CEI EN ISO / IEC 17025, ISO 9001 and CFR 21 – PART 11 of the FDA. 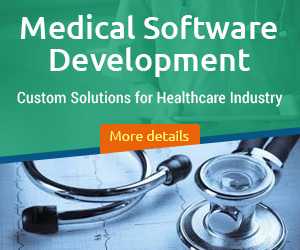 High-quality product with well-defined procedures and is controlled via software factory; it connects all the stakeholders to share common goals & reduce time to market. High-reliability & security of stored data; the system architecture is based on a relational database. Allows management of a considerable amount of data and provides high performance & reliability. The technology used in LIMS enables data exchange with maximum flexibility. The product is based on modern-technologies, like Microsoft Entity Framework, Microsoft.Net Framework &data exchange using XML technology WebServices. Supports multi-tenant & multi-language scenarios, with various database platforms (SQL Server & Oracle). Supports audit, customization of workflow, offers user the possibility of design web pages & print reports. Integrated with other systems, like accounting and ERP-Enterprise Resource Planning (for example. SAP). These were the various advantages of LIMS, and now moving forward, let’s explore why you must choose the right development partner for this system. Choose right development partner for Custom Laboratory Information Management System? Once you are sure that the Laboratory Information Management System Developers will be able to provide you with these essential features, you can go ahead with the development process. What is the cost to develop a Custom Laboratory Information Management System Development? These integral factors are considered while calculating the cost of Custom Laboratory Information Management System.